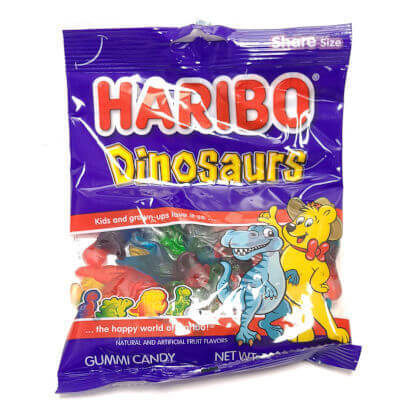 Gummi dinosaurs by Haribo. Assorted natural and artificial fruit flavors. Firm texture. Imported from Europe. Approx. 18 pieces per 5 ounce peg bag.